This Disney classic returned to the silver screen in 2011, completely remastered in 3D. The Lion King, a film roughly based on William Shakespeare's Hamlet, portrays the story of a young lion cub, Simba, who is born in the shadow of his father, Mufasa - the king of Pride Rock. 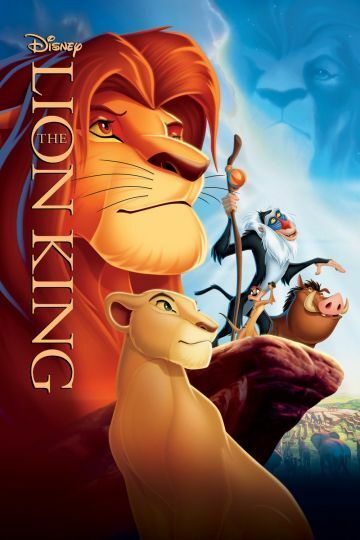 After attempting to prove that he has what it takes to be king by visiting an elephant graveyard - despite his father's wishes - Simba and his childhood friend, Nala, are rescued from a pack of hungry hyenas by an angry Mufasa. Simba is then left with his father to learn how a king should and shouldn't act. As the young cub faces the realization that he is far from walking in his father's footsteps, Mufasa is murdered by Simba's jealous uncle, Scar. Falsely accused of his father's murder and carrying the burden of his death, Simba is forced into exile, where he is then saved by a wise-cracking meerkat named Timon and a flatulent warthog named Pumbaa. The dynamic duo teaches Simba about their worry-free mantra, Hakuna Matata, and together they live out their days in a jungle paradise - until Simba's childhood friend Nala resurfaces from his past and tells the now fully grown lion that Scar has taken over his father's throne and has left his home and his pride in desolation. However, Simba cannot seem to force himself to return, because he still carries the guilt of his father's death and cannot bear to face his family. Furthermore, he is still convinced that he cannot live up to the lion his father was - until a wise, old baboon named Rafiki shows him that his father's spirit lives within him. Simba is then able to reconcile with his past in order to face Scar and save Pride Rock from the clutches of his evil uncle, as well as his hyena henchmen, with the help of his friends.